The phrase 'global warming' has been thrown about so much, in the ongoing debate over dangers of man-made climate change, that it can seem more like a dark shadow on the horizon, than an imminent threat. But if the weighty evidence of thousands of scientific papers over the last two decades is to be believed, global warming isn't just real and happening now - its negative consequences are being played out all around us, affecting the lives of millions. So what exactly do we know about the effects of global warming on our planet in the here-and-now? And how will our futures be affected, as the global thermometer continues to rise? 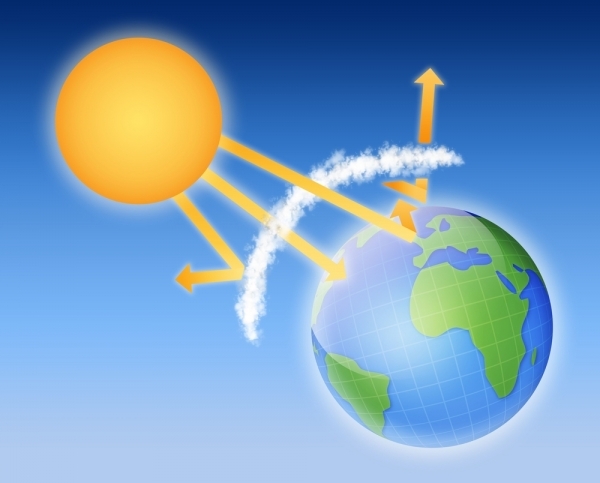 Global warming - tortoise or hare? One of the many confusing aspects of global warming is the very phrase itself. 'Global warming' was coined by climate scientists to describe the biggest knock-on from the increase in man-made greenhouse gases. As a whole, and averaged out over decades, the amount of heat trapped in the earth's atmosphere will gradually increase - in tandem with the rising levels of CO2 and other greenhouse gases. And years of painstaking temperature measurements from thousands of weather station records, have confirmed a slow inexorable rise in that overall temperature across the globe. But while 'global warming' itself sounds big and scary, the actual numbers put to the planet's average temperature rise sounds rather small - maybe 1˚C averaged out over a century. Which sounds more like a tortoise than a hare, and so maybe not so scary a problem after all. 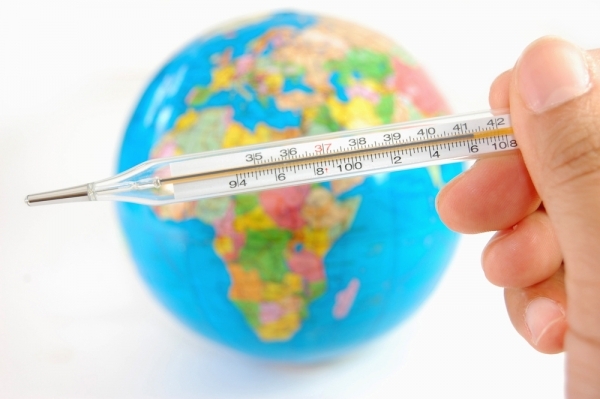 However, it's not the slow rise of that difficult-to-measure global thermometer that's the problem. It's how that extra energy in the atmosphere knocks through to the rest of the climate - which we experience as weather - that is having the biggest impact on us all. Hotter, wetter, wilder - the new normal? Of course, the most obvious impact on us from global warming is a rise in the temperatures we experience day-to-day. However, that effect isn't felt 'in average' - it is being felt across the world's climate regions in a widely varying manner. Some parts of the globe are experiencing a rapid temperature increases - for example the Arctic, which has seen dramatic rises of over 2°C in the last 30 years - others less so. And while most places are hotting up, a few are actually experiencing temporary cooling, such as parts of Antarctica. The temperature changes are also happening at a faster rate than the planet has experienced in millions of years. Unused to this speed of change, major stress is being caused to the natural world - from ocean life, to trees, to birds. And because we depend for our food and water on the health of the world's ecosystems, those stresses are being felt by us too. So rising temperatures are already reducing food harvests, threatening fish stocks, and drying water sources. And the problems with the heat don't stop there. Scientists predict that, not only will much of the globe see gradually rising temperatures, but extreme temperature spikes - such as heat-waves - will become much more common; and much more extreme. The destructive potential is well-illustrated by 2010's Russian heatwave, which saw 9 million hectares of crops destroyed, and 10,000 excess deaths. That extreme weather event has been linked conclusively to global warming. It's not just extra heat that we are all having to deal with. The way water is moved around the from sea to atmosphere is changing too. The amount of rain that can fall from the skies is tied to how much water vapor is stored in the atmosphere. As the temperature of the air rises, it can hold more water vapor. So global warming charging up weather systems, allowing storms to dump greater volumes of water down upon our heads, so increasing the risks of flooding. Recent unprecedented floods in the Mississippi basin, Thailand and Pakistan may have had a helping hand from global warming. While the rising temperatures of global warming may be pushing the atmosphere towards greater extremes of weather - with all the destructive potential that implies - that extra heat is also having an effect on the oceans. As the oceans warm, they are expanding and swelling, so pushing sea levels higher. Add to that the extra water flowing into the seas from melting glaciers and land-locked ice-sheets, and global warming can be seen as the culprit for threatening the safety of low-lying coasts. Again, it's not the gradual long-term rise in sea-levels that is a direct threat - thought to amount to as much as 1 meter, or 3 feet, over the next century - but how that higher base-line affects the natural 'sloshing about' of sea. 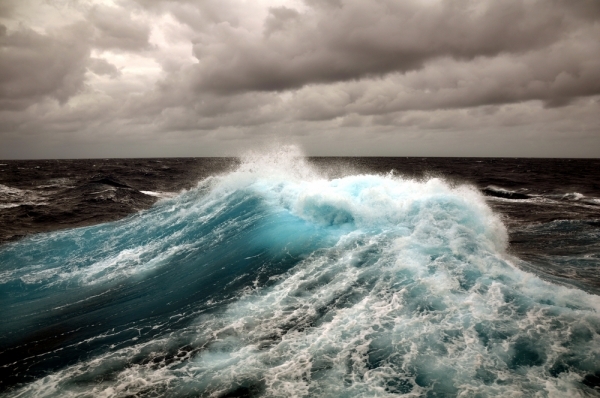 The level of the sea is constantly on the move, in response to the tidal pull of the moon, and the heightening affect of low-pressure weather systems. That random rippling sea-level already causes occasional flooding risk to coastal communities, especially when storms push walls of sea-water ahead of them in 'surges'. But with average sea-levels inching higher, those storm-surges will be more common, go further inland, and be more destructive. While all of the above effects are serious enough - and are causing the most distress to those parts of the planet least able to deal with them - it is the changes we don't know about that are perhaps the greatest threat. Global warming is shifting climate patterns in ways we find difficult to predict. Ice sheets are melting faster than forecast and could disappear; tropical rain-forests such as the Amazon may be dried-out and decimated by shifting rainfall patterns; or the greenhouse gases locked up in the Arctic oceans could be released in a great methane belch. Even one of these events could result in dramatically more serious consequences for the planet, and its inhabitants - which includes us. We already have a good understanding of the risks we are living with, because of global warming so far. But it is the dangers of these unknowable risks from future warming that should weigh heaviest, in the ongoing debate over global warming and climate change.